If you’re looking for a moving company in the Norfolk area that is attentive and caring, you’ve come to the right place. We find joy in helping people start new chapters of their lives, in new homes and offices, with a good experience. 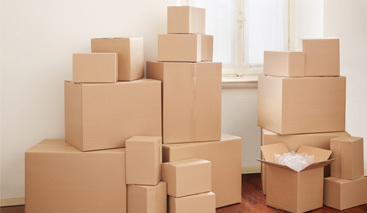 The moving process doesn’t have to be the most taxing thing that you do all year. With the help of professional organization and a precisely executed process your residential move can be much easier and nearly stress-free. As stress can take a huge toll on the body, we are constantly concerned about the continued well-being of our customers, thus, you’ll find our wide array or services cater to every feasible part of the moving process that you would ever need help with. We’re completely aware of hard it can be to alleviate stress once it’s taken hold, so avoid falling prey to the negative side effects it’s known for. We offer a variety of services meant to make your moving process whether if it’s for a residential or commercial move. Needing to make sure your apartment or rented home is spotless before you move onto the next best thing? We offer move-out cleaning as well as storage units to keep your things in while the new place is preparing for your move-in. We also include a host of other services that are meant to make the relocation process much easier for you. There’s no reason to add stress to your life when you’ve already got plenty of obligations with work and family and any extracurriculars you do. So, side-step the stress and start out on the right foot in your new lodgings. Interested in accessing some helpful moving tips and tricks? Check out our blog where we feature various articles in regard to stress management, packing tips, cleaning tips and so much more that can help make portions of your move noticeably more successful. Contact us to make the right move with Scott’s Oceana Moving. Moving your house, apartment, or condo has never been easier with Scott’s residential moving services. Moving down the street or the next block over? We can make this move easier than ever. Your new house is several hours (or days) away — save yourself the stress, rely on our team to help. You need to focus on running your business, which makes our commercial moving services ideal. Our movers can help pack up your place, we also offer furniture disassembly & reassembly. See some additional services our moving company offers, such as emergency moving!